A discussion forum for AWS Elemental MediaConvert. Post your questions and feedback to this forum. Learn how video technology has evolved to shape the way audiences consume video. This course addresses the key concepts of video compression, including: resolution, frame rate, and bitrate; color space and bit depth; and compression schemes, codecs, and containers. 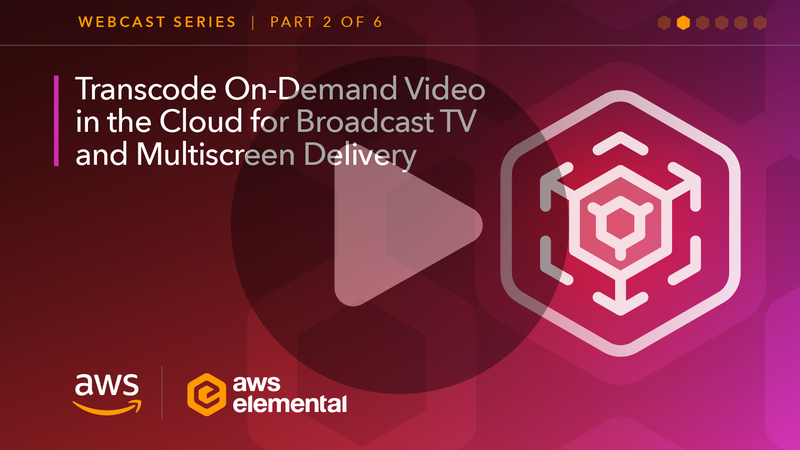 Learn about AWS Elemental MediaConvert, a file-based video processing service that allows anyone to easily and reliably transcode on-demand content for broadcast and multiscreen delivery. This course provides an overview of the features and benefits of the service, discusses common use cases, demonstrates the service in action, and looks at pricing. Learn about setting up video-on-demand (VOD) streaming workflows using AWS Elemental MediaConvert with other AWS services. This course discusses essential terms and concepts common to VOD workflows and describes how to set up workflows to manually run jobs, automate jobs, and monitor jobs.